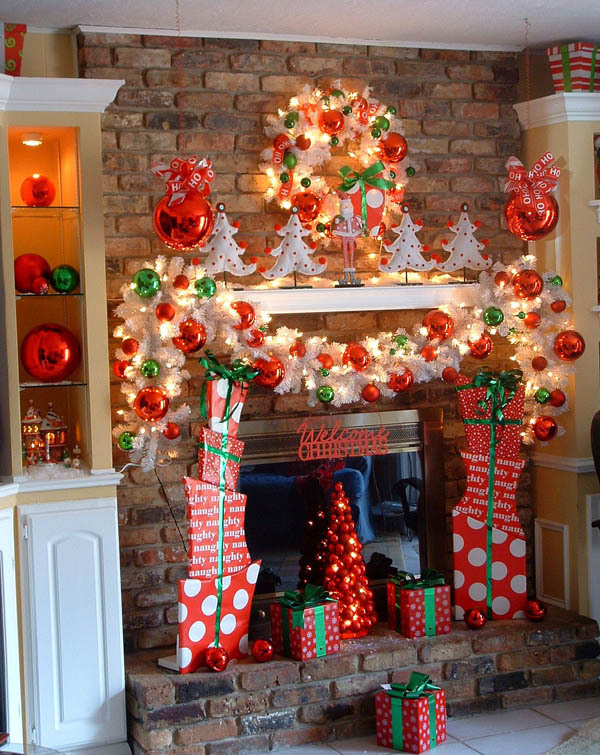 Decorating your home for Christmas: either you love it or you dread it. 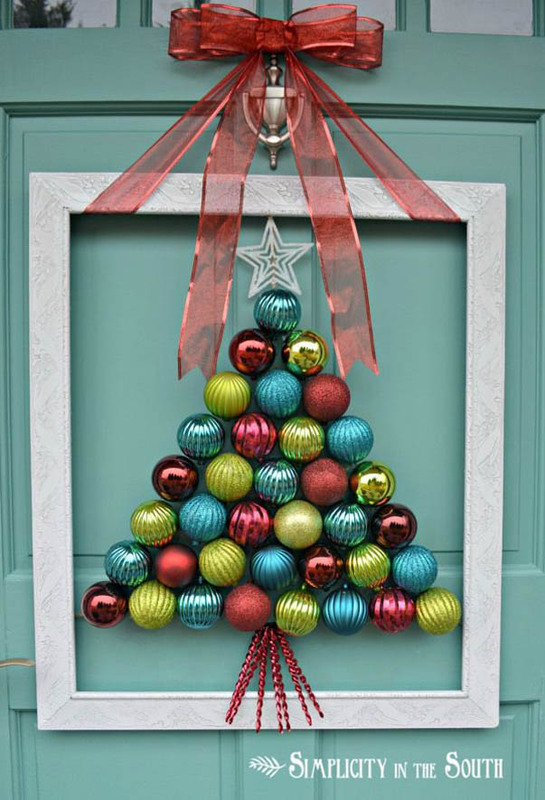 For those who have been blessed with tons of creativity and design talent, this is the time to showcase your mad skills at decorating and your ingenious way to mix and match colors. 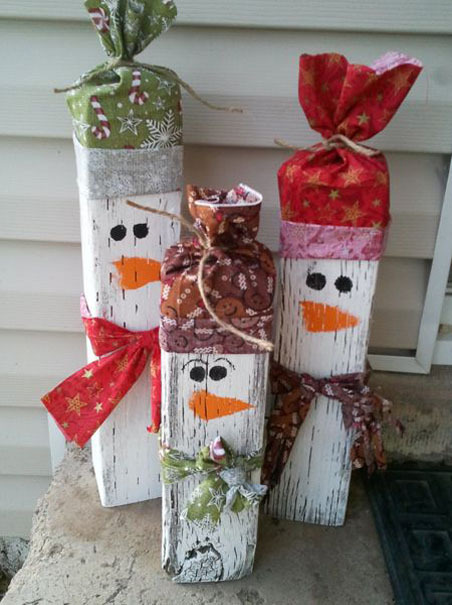 For those whose only creative talents are drawing stick figures on paper, Christmas decorating is relegated to buying store-bought ornaments and just hanging them on the tree. 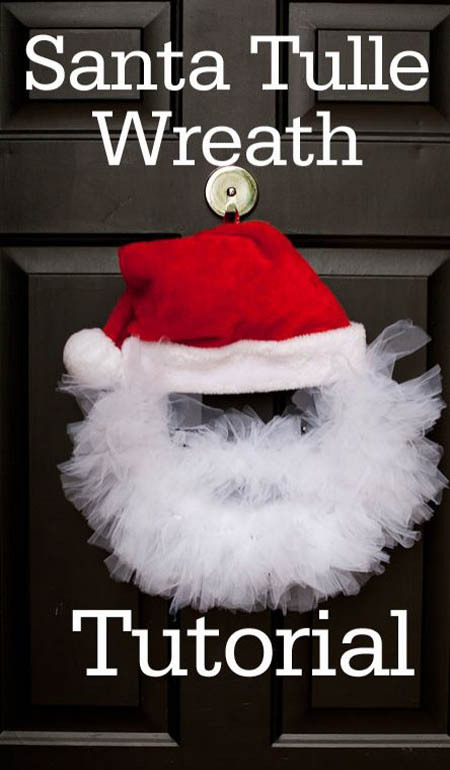 But there’s no need to worry. 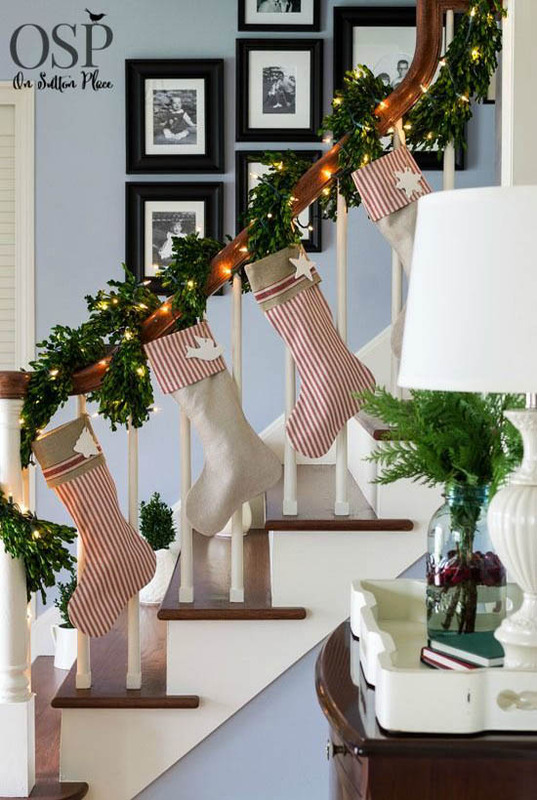 These Christmas decorating ideas that we have gathered will help you with decorating your homes this year. 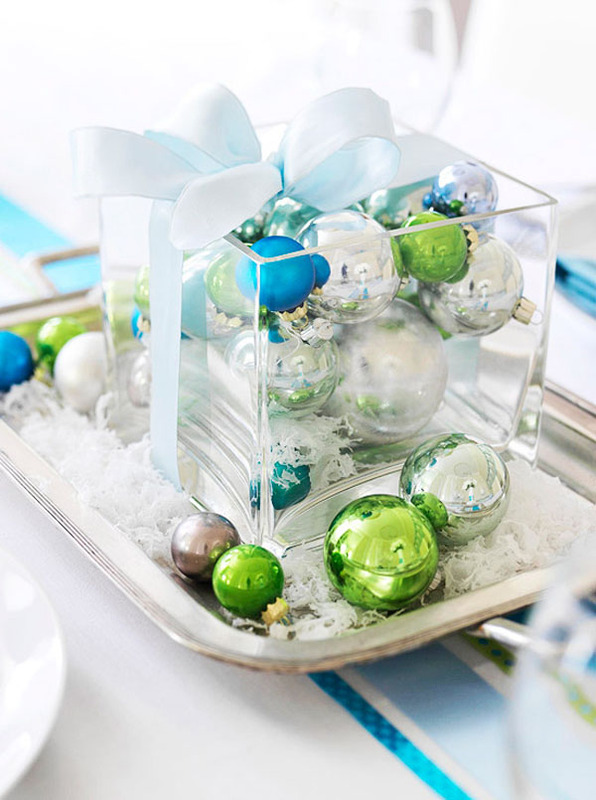 Now is the time to impress your friends and family. 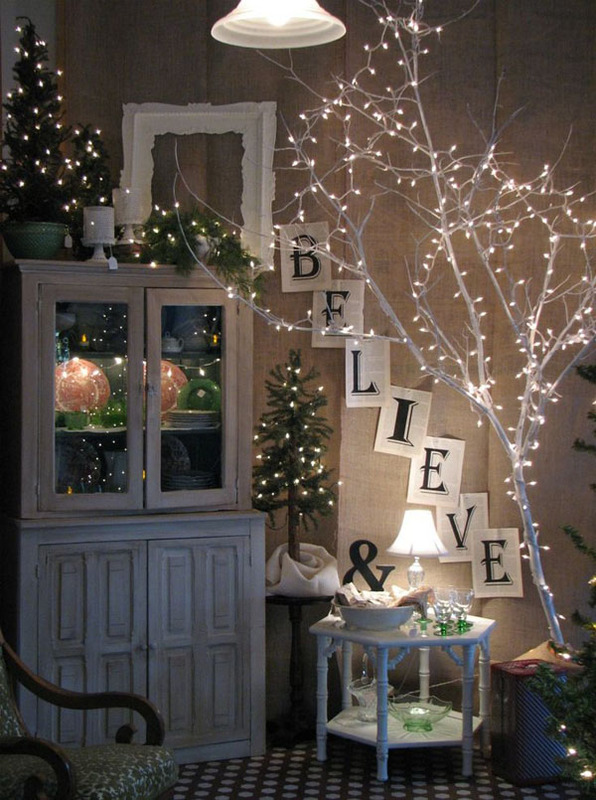 And you don’t need to be Martha Stewart to have a beautifully decorated home! 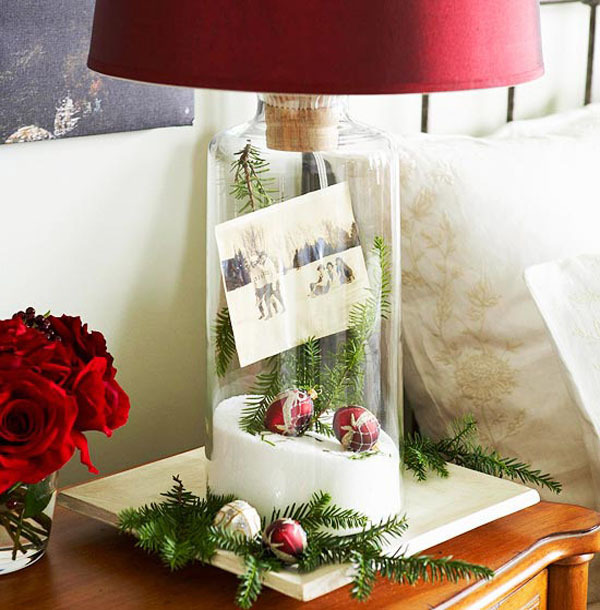 We have fun and unique ideas that will look great no matter how small or big your space is. 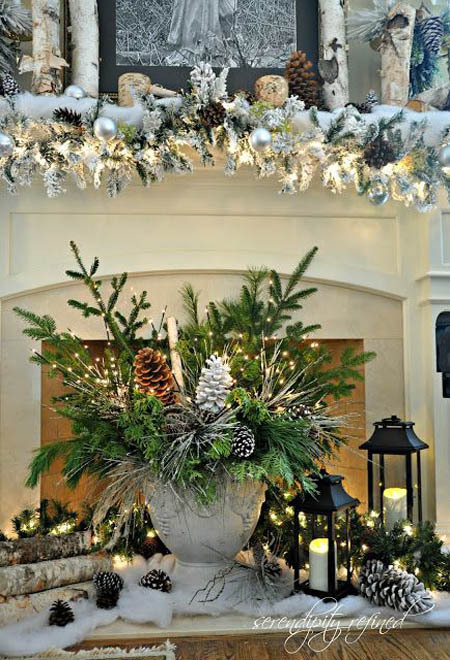 Scroll down to find more design inspirations that will suit your tastes and budget. 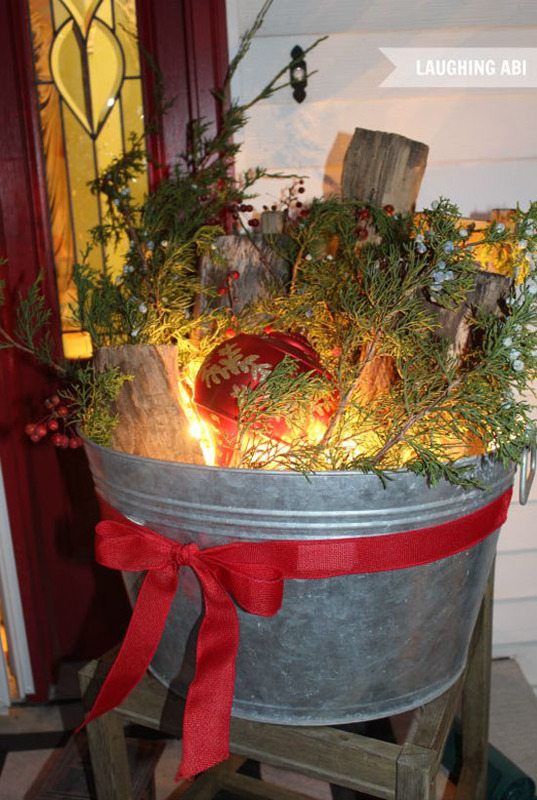 If you want more sparkling yet easy Christmas decor, you can simply put greenery in a bucket, throw some Christmas balls in, accentuate with Christmas light and presto! 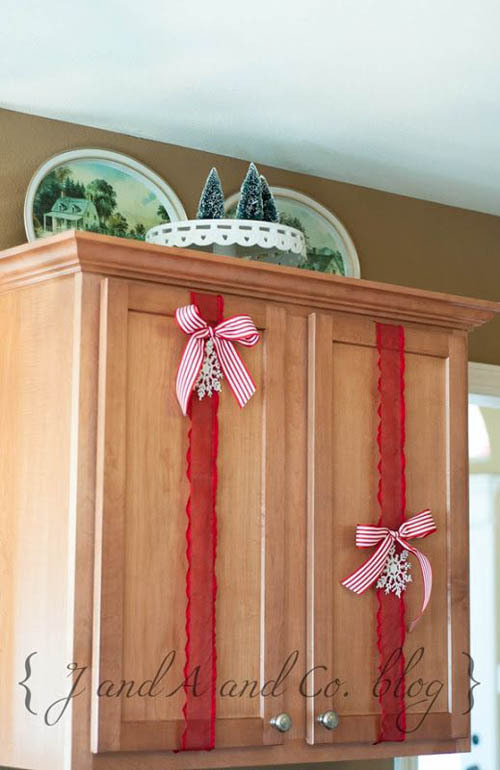 You can also spruce up your kitchen cabinets this Christmas by attaching ribbons and garlands. 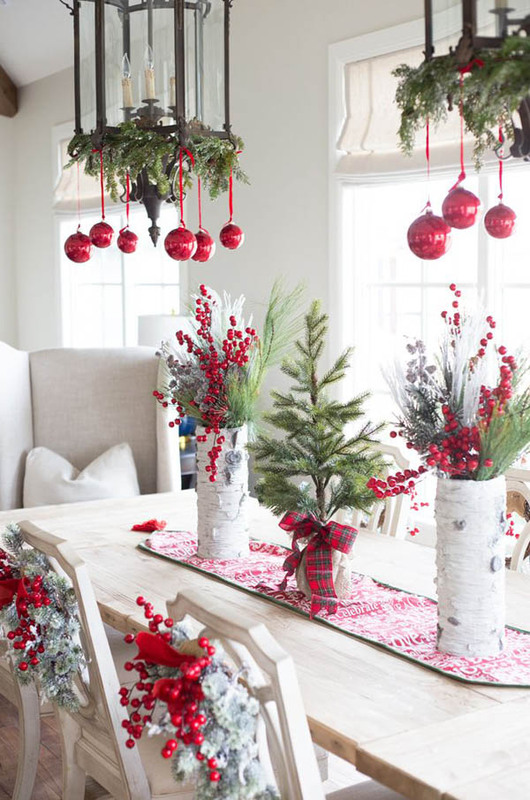 Prep your table for this holiday season by putting up these lovely and stunning Christmas table decorations. 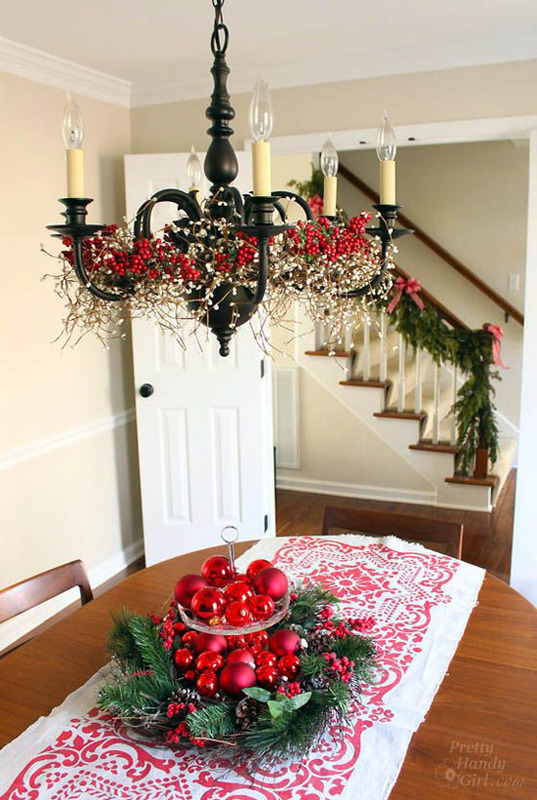 This will not just brighten the holiday, but will also give off that refreshing ambiance for the family Christmas dinner. 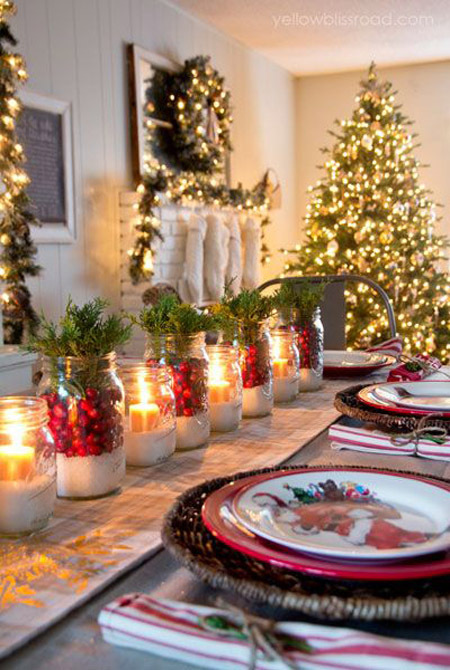 Mason jars filled with cranberries, salt and candle can make a good table centerpiece. 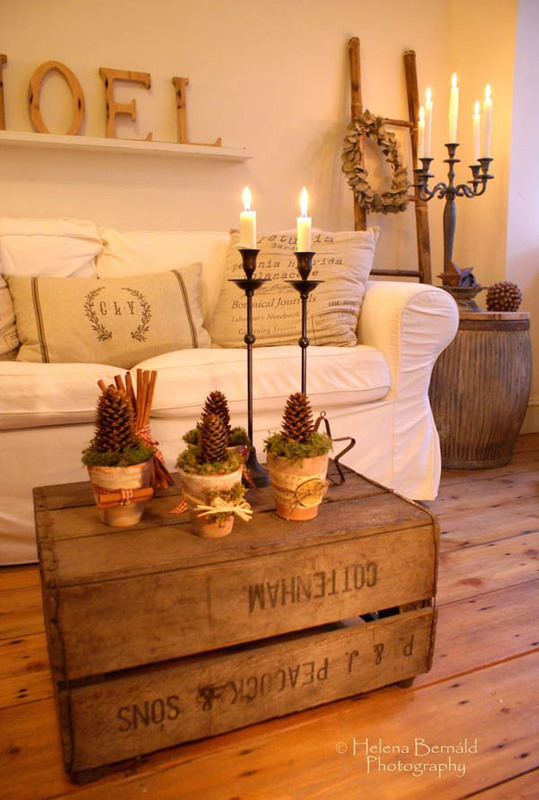 Add some more accent – a photo and greenery perhaps? 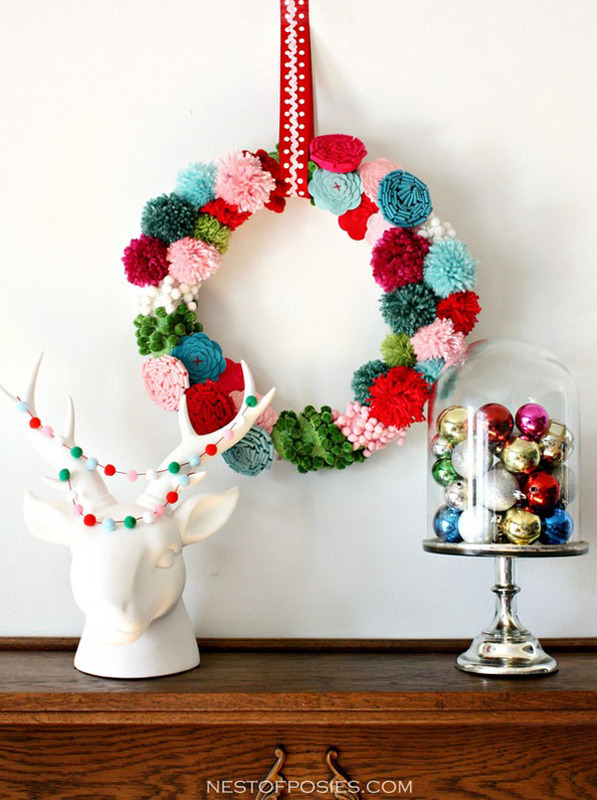 Christmas decorations should also complement modern style and trends of today. 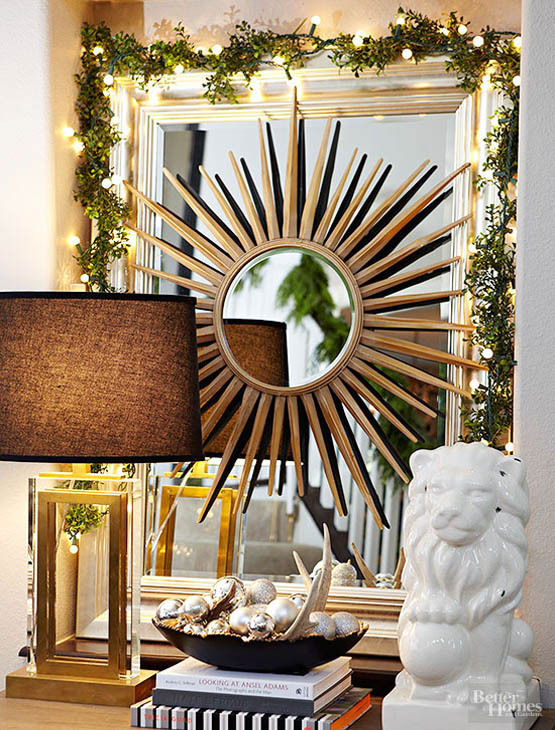 Instead of using the same old décors that you have, put some flare and a quick modern touch to your loving bode. 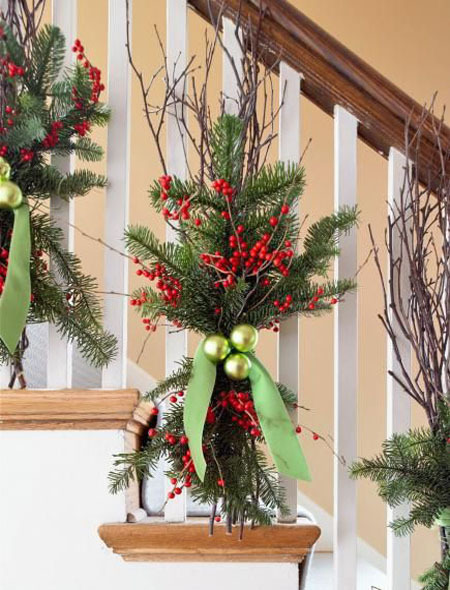 Use those pinecones and greens for your indoor Christmas decorations. 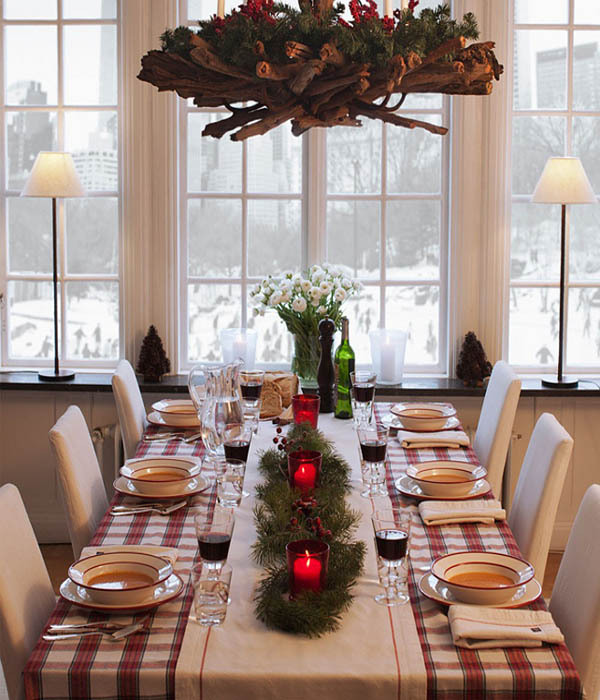 How about a Christmas tree with a twist? 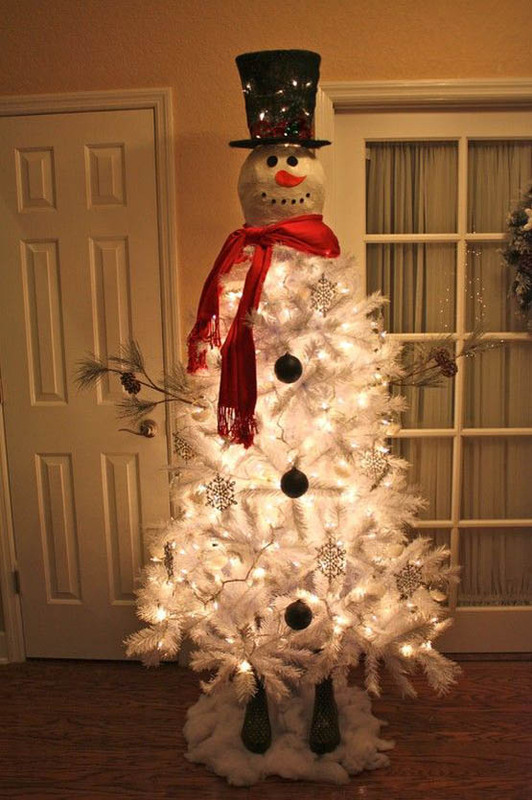 Instead of using the traditional tree, you can make a Snowman out of this white artificial tree. 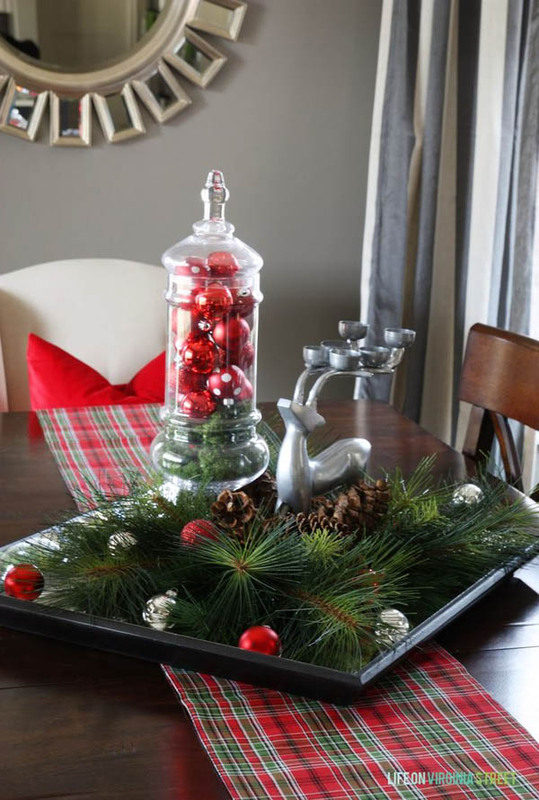 Who would have thought that an evergreen branch plus checkered ribbons in a vase can make a good Christmas table centerpiece? 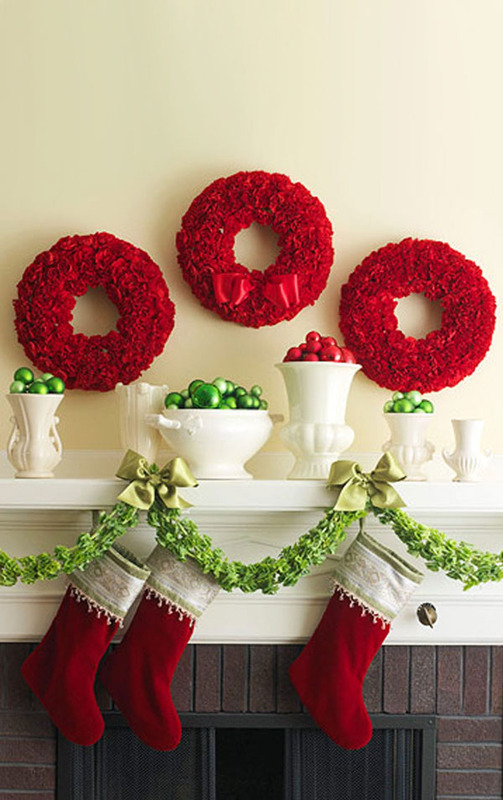 This is one of my favorite decorations for Christmas – the garland. 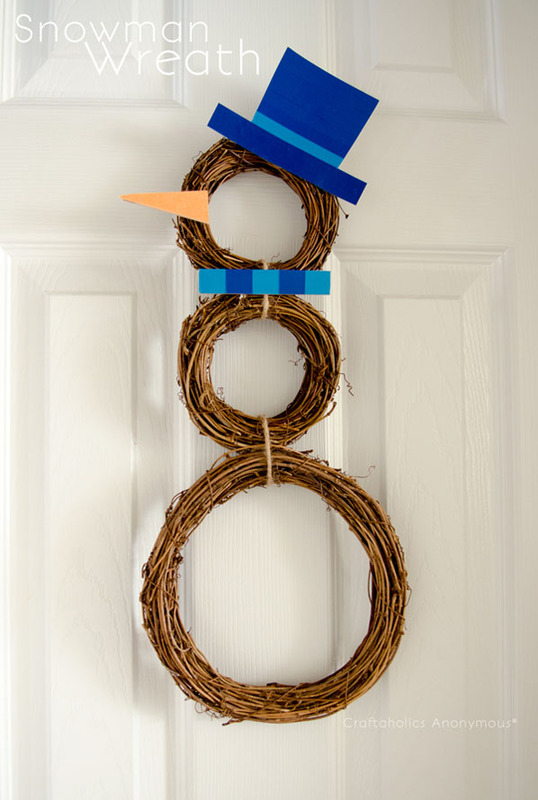 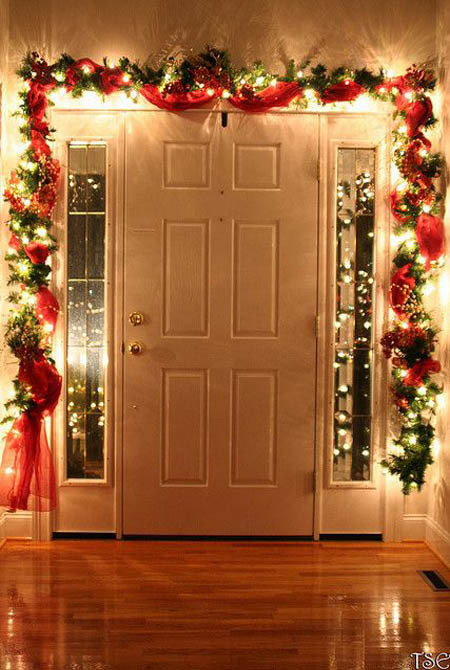 They are not just for staircase, garlands can also make a door or a window more apt for the holiday. 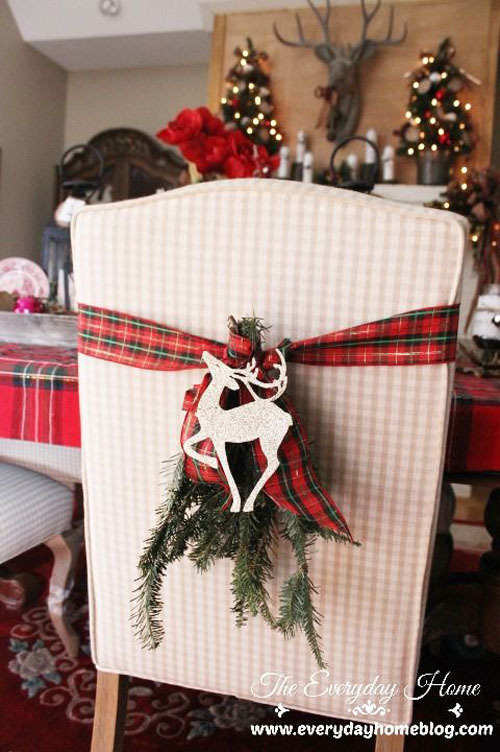 Burlap, mesh and paper garlands are the commonly used material for decorating. 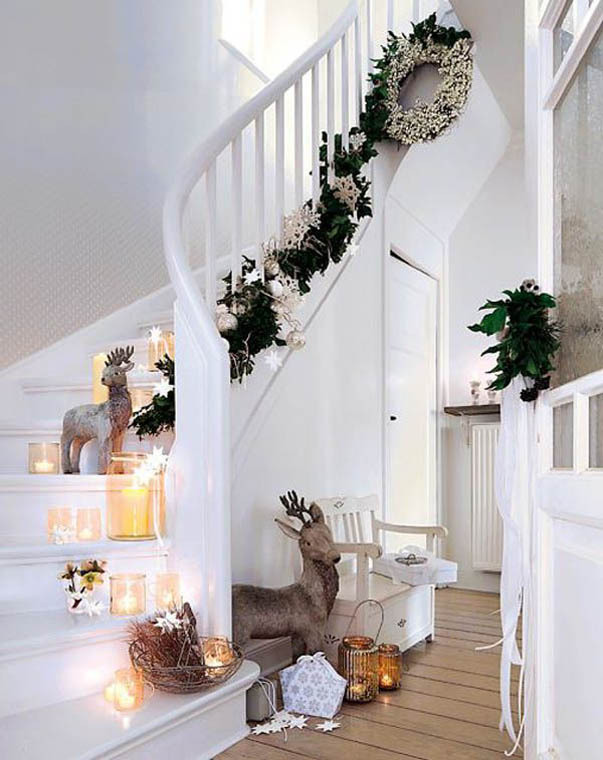 And speaking of staircase, this is one part of our home that we would like to standout. 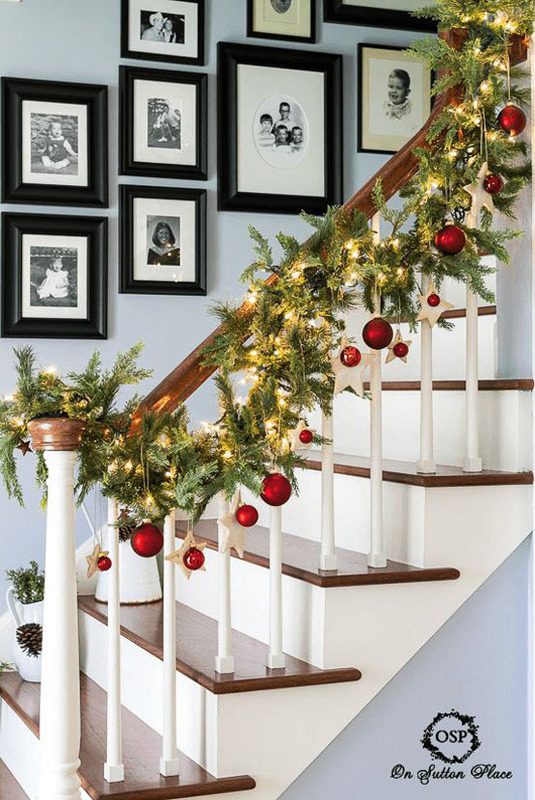 To achieve it, here are some beautiful Christmas decorating ideas for staircase that you can use. 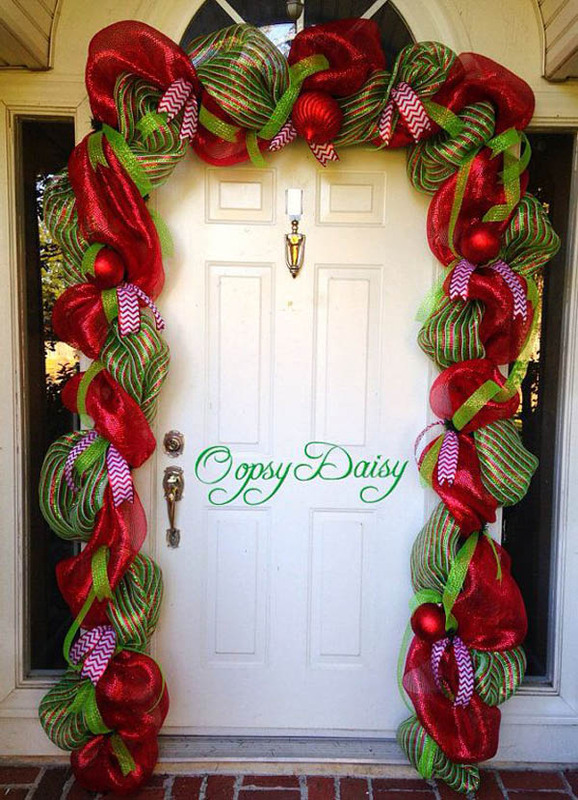 Of course, you also want to make sure that your porch, front yard and outdoor are also ready for the holiday. 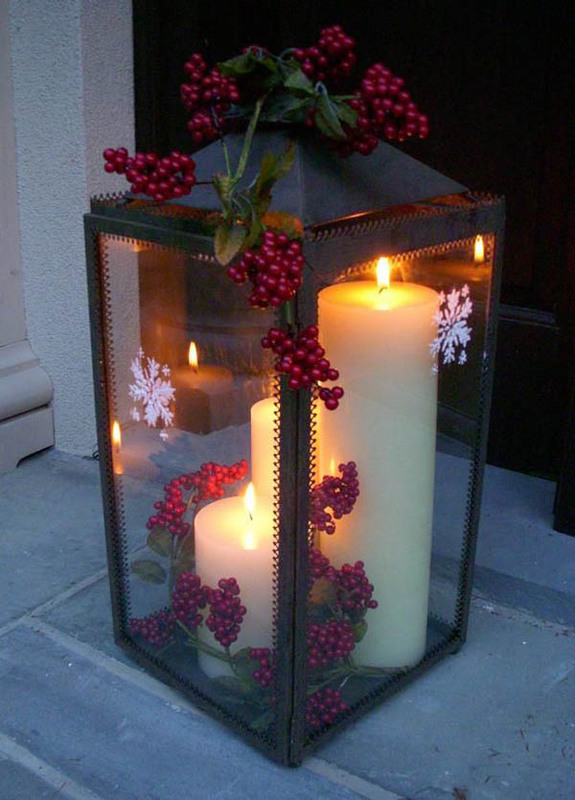 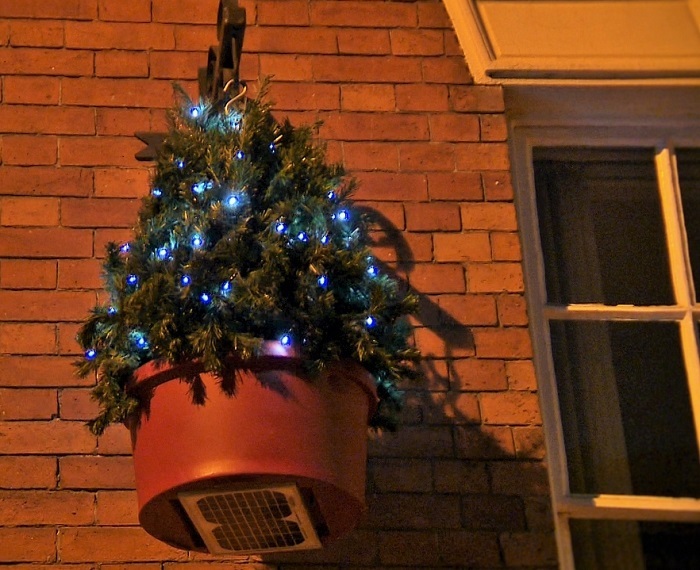 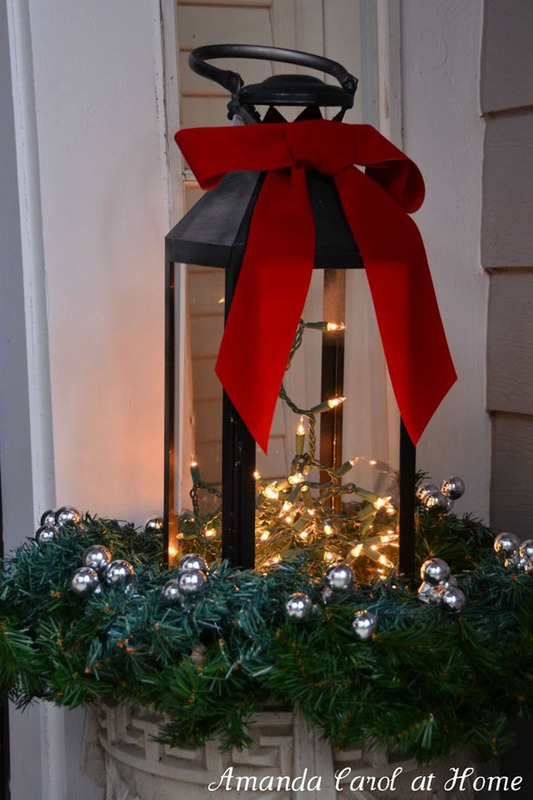 Here are some outdoor Christmas decorating ideas to guide you in your quest. 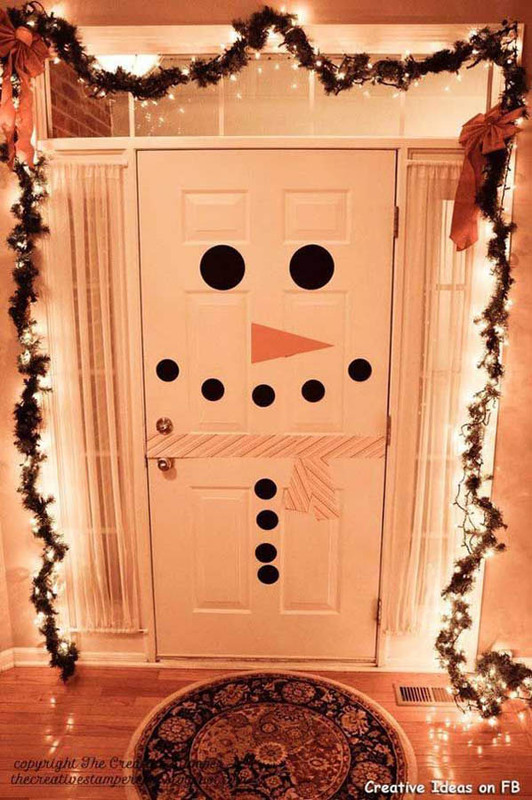 Make your door bright and merry by decorating it with these breathtaking Christmas door decorations. 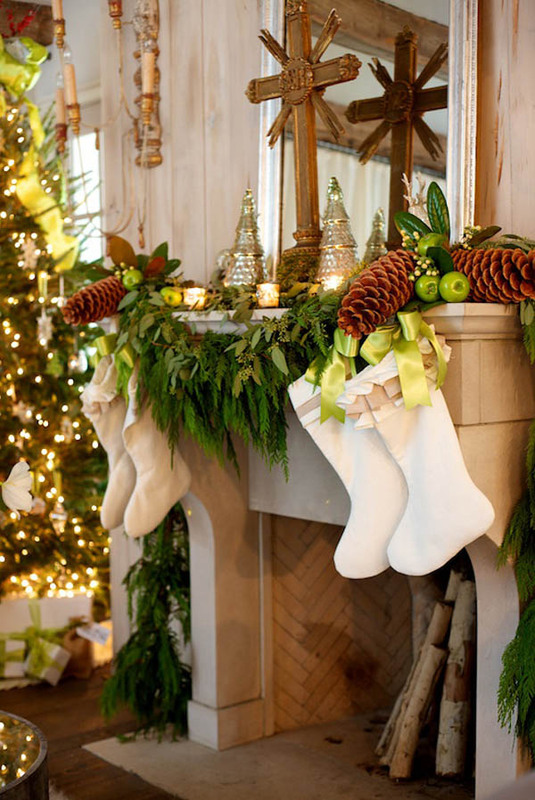 The fireplace gives warm to every home. 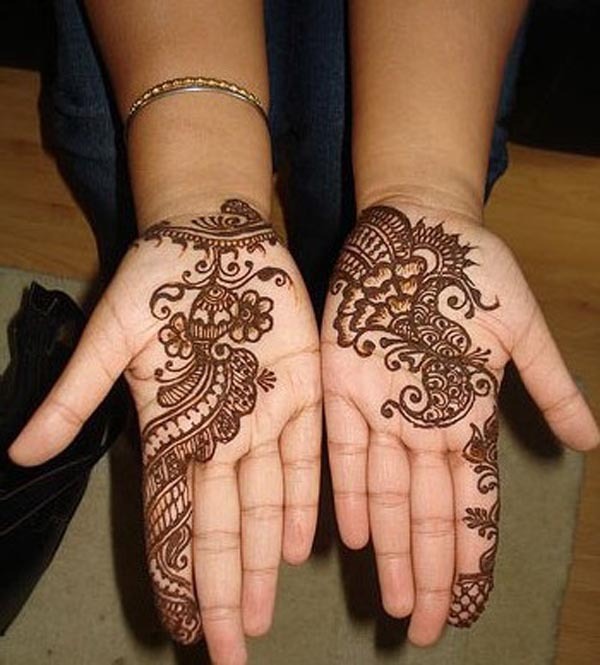 It heats cold emotions and conflicts that have been left in the hands of time. 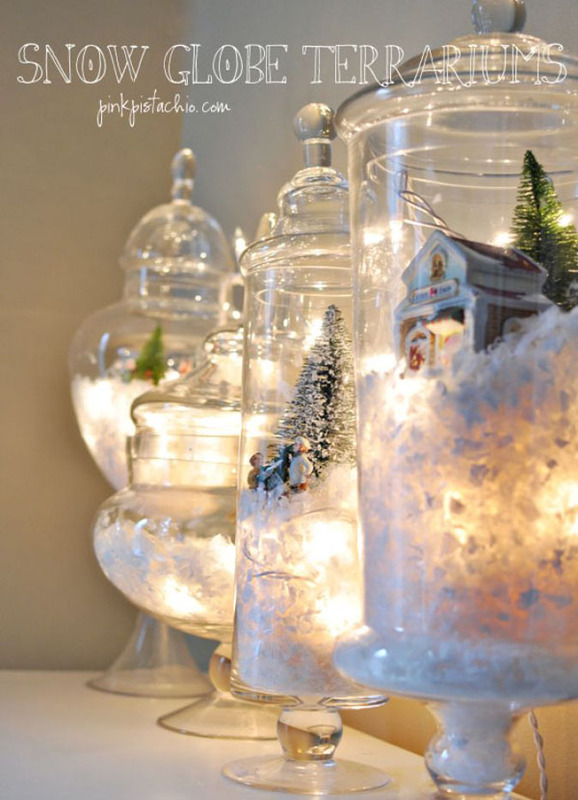 That is why this is the best place inside your home to decorate accordingly. 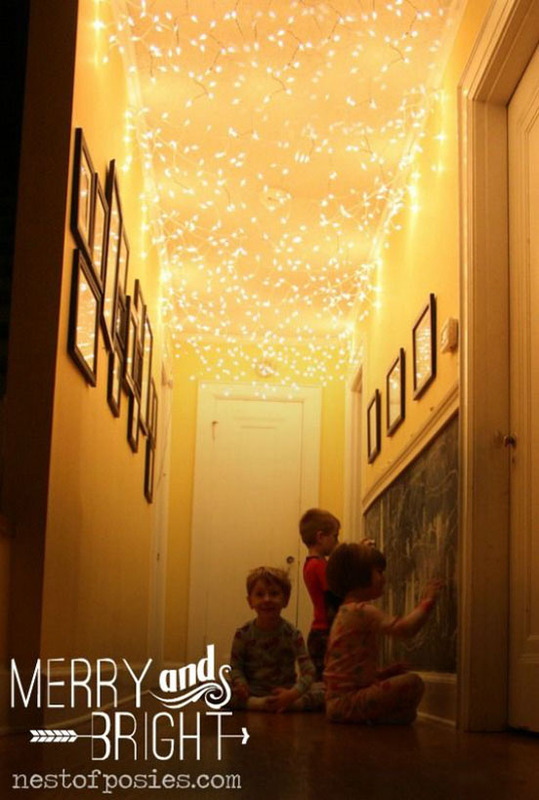 The best place to showcase the power of Christmas over your home. 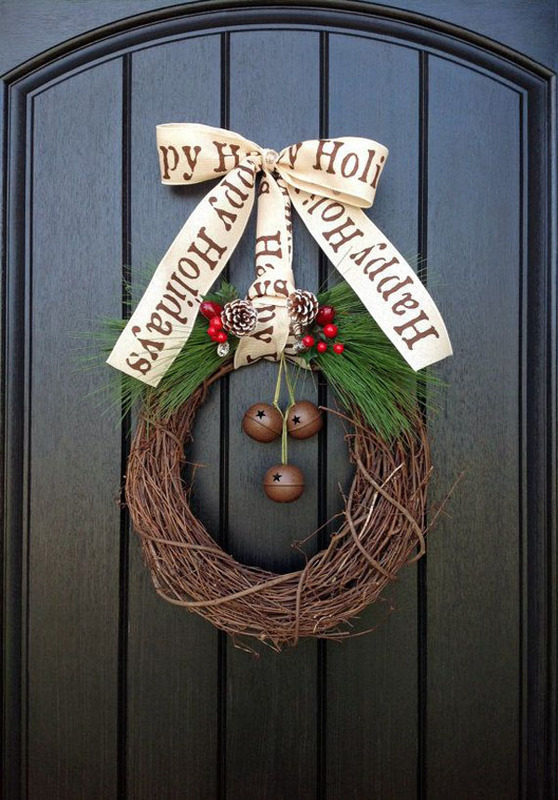 Wreath is an important symbol of Christmas. 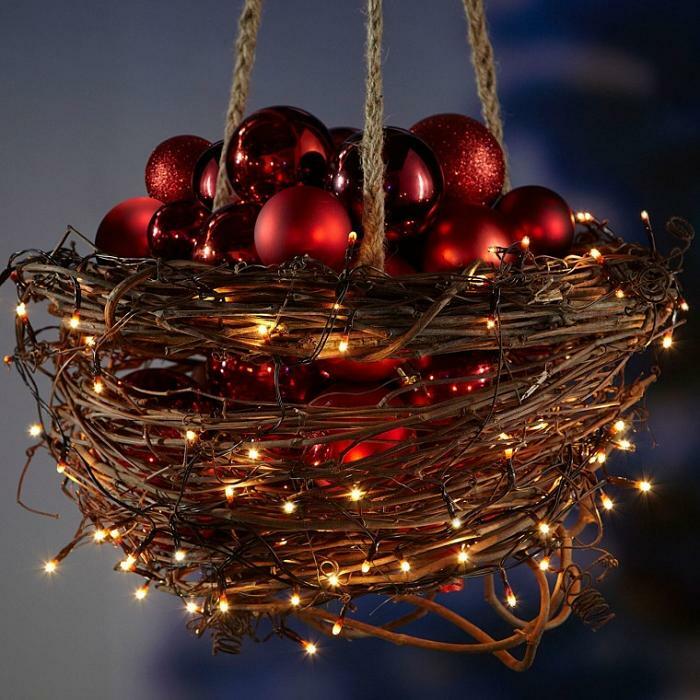 It symbolizes that God has no beginning and no end. 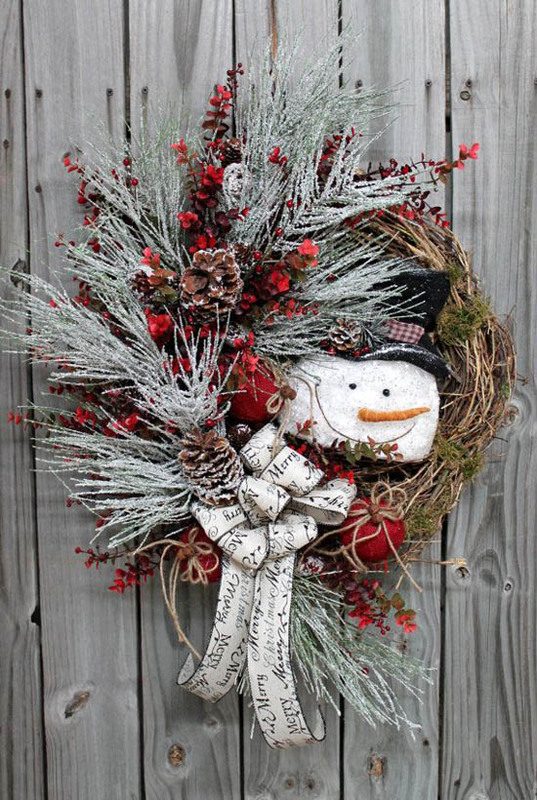 While most Christmas wreaths come in circular shape, as time goes by, people start making wreaths using different materials such as twigs and are of different shapes. 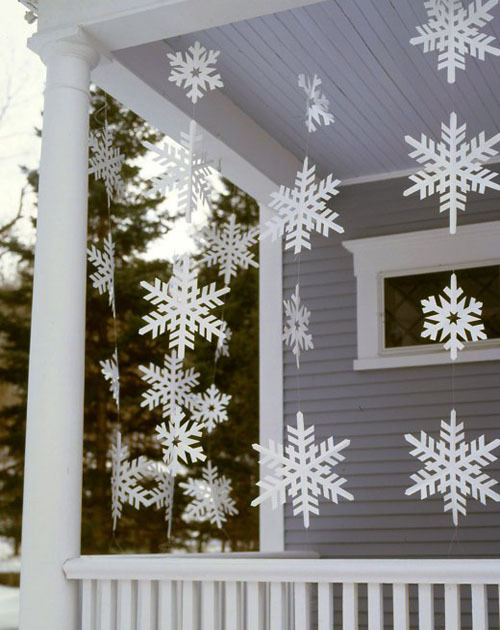 Start turning your lawn, front yard and porch into a holiday paradise using these outdoor Christmas decorations. 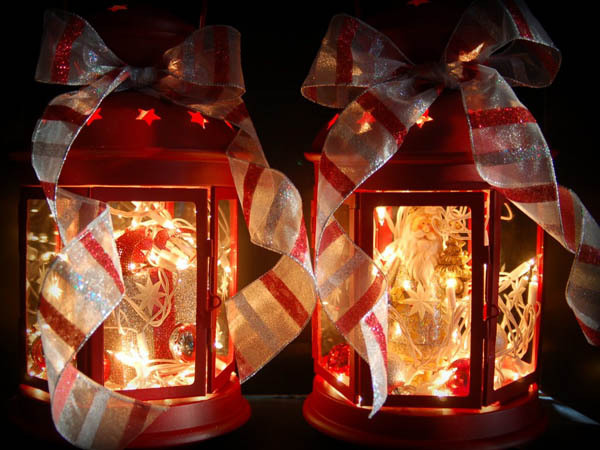 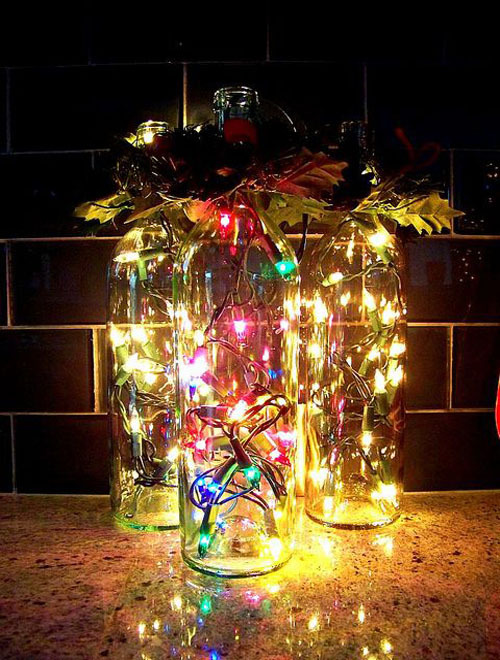 You can either make your own Christmas decor, recycle old Christmas ornaments, or buy Christmas inflatables and lighting. 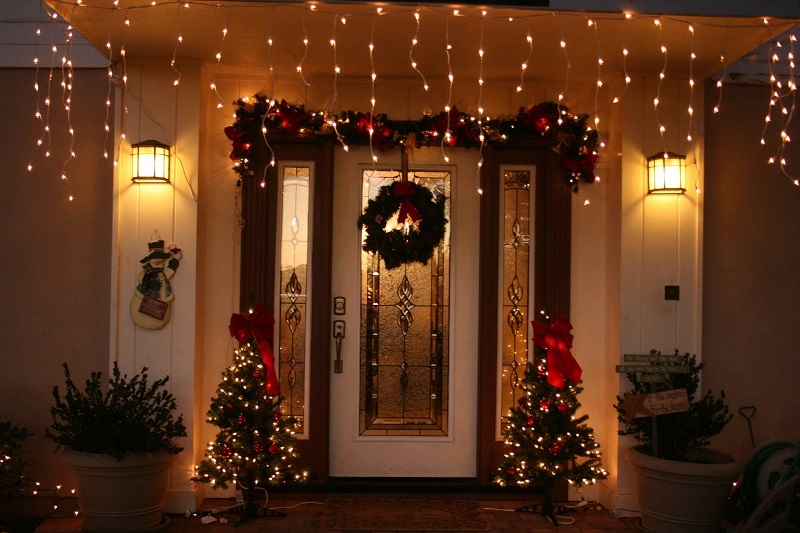 Christmas lights are such a wonderful item that can make a certain place warm and cozy. 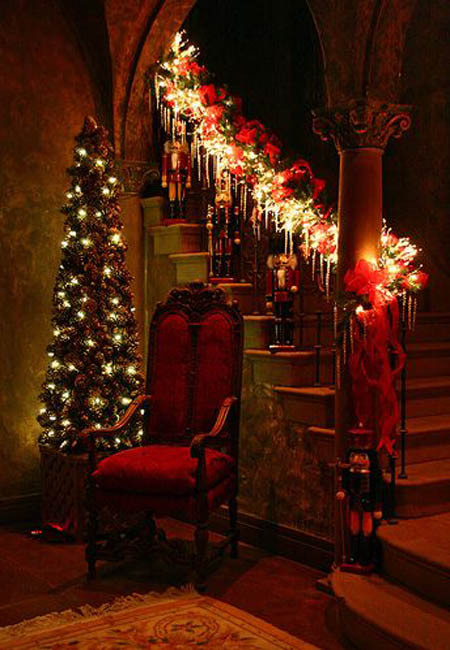 While most of us use Christmas lights to further beautify our Christmas trees, we can also use lights alone to create a holiday ambiance. 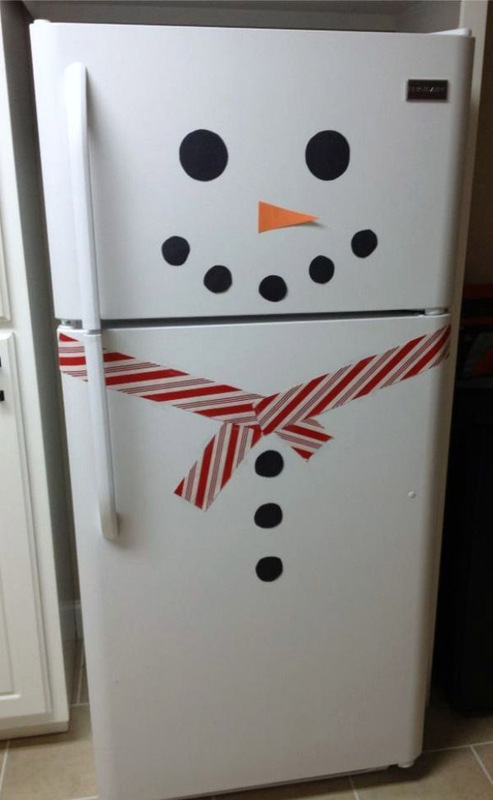 Christmas is one of those times that you can practice your creativity. 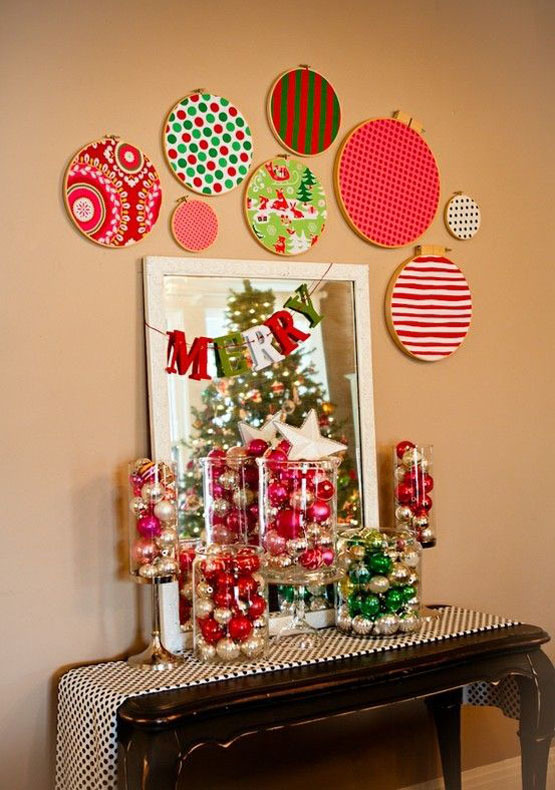 With some household items and recyclable materials, you can give your home a fresh look by creating ornaments. 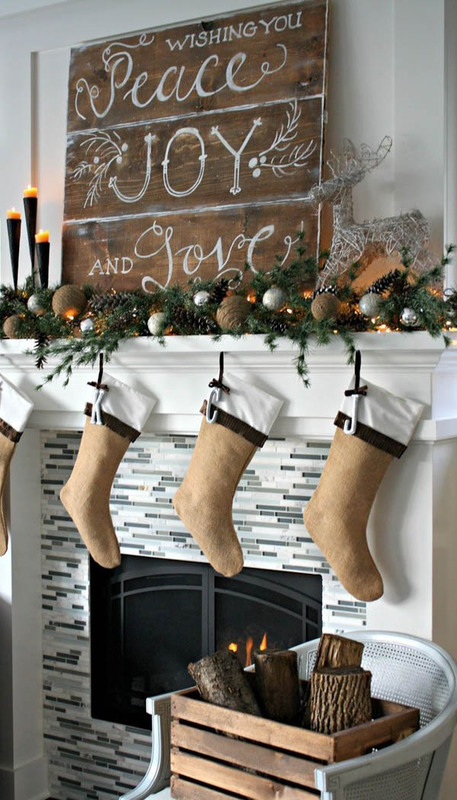 This is a great way to have bonding with your family, especially those who have kids. 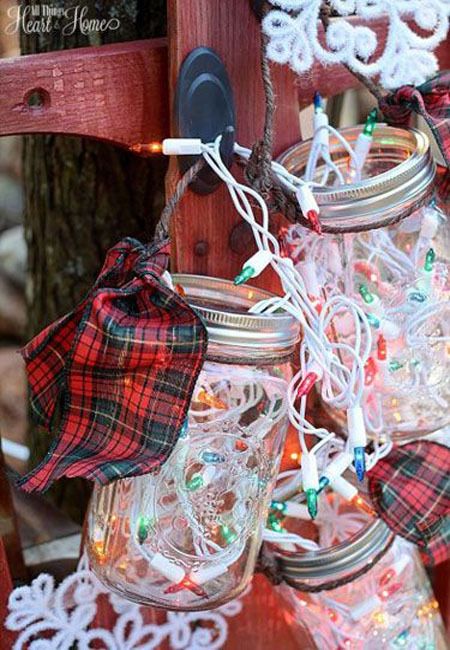 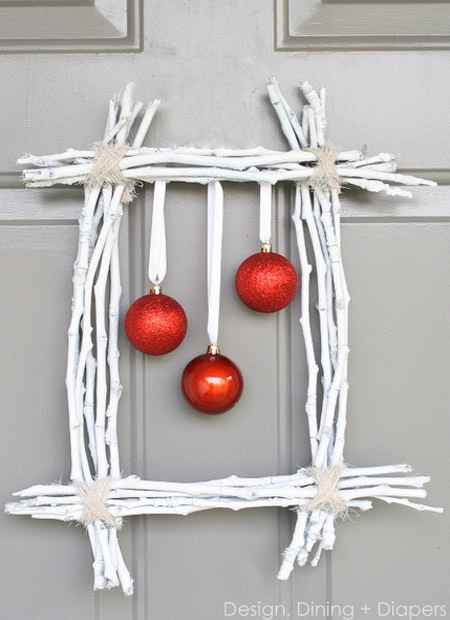 Here are some DIY Christmas decorating ideas to use.